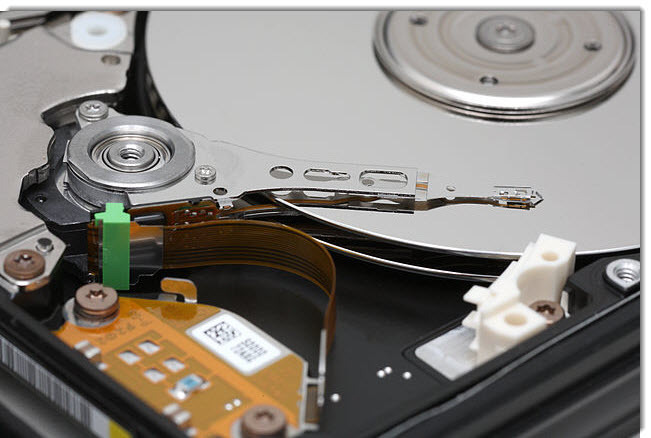 If you have finally decided to partition your hard drive into several partitions after reading All you want to know about Hard Drive Partitions, then you are at the right place. After deciding to partition your hard drive according to your needs, you must have the basic knowledge about the type of partitions as they are very crucial in setting up a multi-boot system, create a back up of your system and for your any other needs. This section describes the master boot record (MBR) partitioning scheme, as used in DOS, Microsoft Windows and Linux among others on PC compatible computer systems. For examples of partitioning schemes used in other operating systems, see the general article on partition tables. A primary partition contains one file system. In DOS and earlier versions of Microsoft Windows systems, the system partition was required to be the first partition. More recent Windows operating systems (Win7, XP, etc.) can be located on any partition, but the boot files (bootmgr, ntldr, etc.) must be on a primary partition. However, other factors, such as a PC's BIOS (see Boot sequence on standard PC) may also impart specific requirements as to which partition must contain the primary OS. The partition type code for a primary partition can either correspond to a file system contained within (e.g. 0x07 means either an NTFS or an OS/2 HPFS file system) or indicate that the partition has a special use (e.g. code 0x82 usually indicates a Linux swap partition). The FAT16 and FAT32 file systems have made use of a number of partition type codes due to the limits of various DOS and Windows OS versions. Though a Linux operating system may recognize a number of different file systems (ext4, ext3, ext2, ReiserFS, etc. ), they have all consistently used the same partition type code: 0x83 (Linux native file system). Extended partitionA hard disk may contain only one extended partition; the extended partition can be subdivided into multiple logical partitions. In DOS/Windows systems, each logical partition may then be assigned an additional drive letter. This is the most important part in the process of partitioning to determine the suitable sizes of the partitions. These sizes should be chosen with great care, as it can be very difficult to change in the future, when the data is already stored in it. It can be illustrated by a simple useful example. To store movies and media. These are the basic need of mine. What is the partition strategy? If you want to have more data on the Movies & Media section, you may consider it to have 500 or 600 GBs, cutting the size of linux and/or Windows partition to 50GBs, as 50 to 80 GB is enough to have a OS on it! So, after this assistance, if you have decided about the partitions' size and types, you may proceed further to actually partitioning your Hard drive.